Frontier Netgear 7550 WIFI Router DSL MODEM B90-755044-15. Condition is Used. Comes with what is in the picture only. Model DGN2200. I also reserve the right to break down the original box if needed. 5 out of 5 stars - Netgear N300 Wireless DSL Modem Router. Model DGN2200. DSL Wireless Modem. 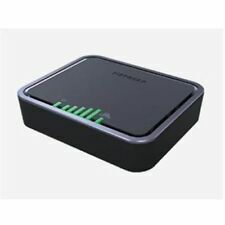 1 product rating1 product ratings - Netgear N300 Wireless DSL Modem Router. Model DGN2200. DSL Wireless Modem. In very good condition ! Used, but very good condition. - Sold as is. - No local pickup. No exceptions. 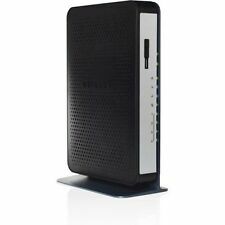 New Frontier Netgear Model D2200D ADSL2 Modem / Router D2200D-1FRNAS. Condition is New. Frontier NETGEAR Router Model 7550 WiFi. Condition is Used. Shipped with USPS Priority Mail. 1 modem stand. 1 ethernet cable. Att Netgear DSL NTR 7550 Kit like new condition. What you see in the picture is what you get. Very happy. Ethernet cable (color may be different than shown). WAAYY out of their way to make the sale right. Tech support A . COPY setup CD. Great communication and product. Official Manufacturer Warranty. Middle East. It is cable labs Certified and with DOCSIS 3. 0 is 16x faster than 2. 0 devices. It works with U. S. Cable Internet provider Comcast XFINITY & more. It is not compatible with cable bundled Voice services. Easy setup - Smart Wizard CD with graphical installation guide and multi-language support. Guest network access - Provides separate security and access restrictions for guests using the network. VDSL modem—Built-in VDSL, also compatible with ADSL connections. Speed makes HD video better. Speed makes all your devices really go. And anyplace you need speed, with NETGEAR you got it. NETGEAR makes it easy to do more with your digital devices. Enjoy incredibly fast WiFi speeds for the ultimate in performance. VDSL modem—Built-in VDSL, also compatible with ADSL2 connections. Start enjoying your new device faster than ever. Maintain high security across your network to help ensure your privacy & family is safe while online. Upgrade your WiFi to support your AC devices. AC750 WiFi speed—Faster downloads & Internet gaming. Built-in ADSL2 Modem. Built-in ADSL2 Modem feature. NETGEAR® genie® App for computers & smartphones. Trending at $259.72eBay determines this price through a machine learned model of the product's sale prices within the last 90 days. Netgear modem. Stuff you need to be able to get internet and Netflix.